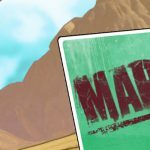 Today, Borderlands 2 VR update 2.0 is live! Borderlands 2 VR released in December on PlayStation VR, bringing the badass action closer to your eyes than ever before. Since then, we’ve been listening and doing our best to address as many issues as possible. This update is bringing one of the most requested features to the game: Aim Controller support! AIM CONTROLLER SUPPORT – BL2VR is now compatible with the Aim Controller! IMPROVED SCOPE – Performance on the scope has been improved and it is now a much larger window. CROSSHAIRS TOGGLE – A new option is available in the Options menu that allows you to turn off the crosshairs. SCOPE TOGGLE – A new option is available in the Options menu that allows you to turn off the scope window. You can have all the benefits of scoping without having a giant window in your face. 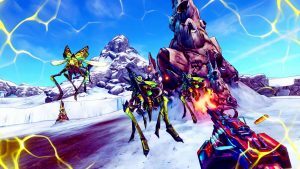 Coming up for Borderlands 2 VR– look forward to more community suggested updates such as improvements to the HUD and height offset along with fixes to an unreachable chest, teleport, performance and more. For more information on the patch, check out our official forum, or our Knowledge Base. If you experience any issues with this update, please submit a ticket to support.gearboxsoftware.com.